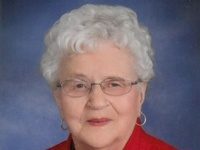 Irene Dessellier, Oklee, MN, 84, passed away on Saturday, January 20, 2019 at her residence in Greenleaf Assisted Living, Thief River Falls, MN. Mass of Christian Burial will be held Saturday January 26, 2019 at 10:30 AM at St. Francis Xavier Catholic Church in Oklee, MN with Father Adam Hamness Officiating. Burial will be held at St. Francis Xavier Catholic Cemetery near Oklee, MN. Visitation will be held Friday, evening January 25, 2019 5 – 8 PM with a 7:00 prayer service at St. Francis Xavier Catholic Church and also one our prior to the service on Saturday. Irene Rose Cote was born March 7, 1934 at Terrebonne, MN, the daughter of Aristide and Agnes (Thibert) Cote. She was baptized and confirmed at St. Anthony’s Church, Terrebonne. She attended country school at Terrebonne and St. Joseph’s School in Red Lake Falls, MN. On November 10, 1954, Irene was united in marriage to George Dessellier at St. Anthony’s Church, Terrebonne. The couple moved to Oklee, MN, where they raised their 9 children. She worked for Oklee Manufacturing, Oklee School, Third Base and also did various jobs in the surrounding community. 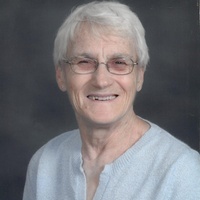 Irene was a member of St. Francis Church and Guild, St. Ann’s Society and VFW Auxiliary in Trail, MN. 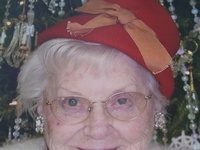 She served 20 years as the Funeral Guild Leader. For all of her life, Irene was not a stranger to anyone who came into contact with her for more than a few minutes. Whether it was in the line buying groceries, at the doctor’s office, or at church, if you happen to cross her path, she would make sure you walked away calling her “friend” and more importantly “grandma”. And she took her job of being grandma very seriously. Her grandkids were her world. She would cook a big dinner every Sunday just so her kids would bring the grandbabies so she could spoil them. If you missed more than one Sunday in a row, you’d get a phone call and a talking to and you’d be sure you made the following Sunday. She also babysat many of her grandkids daily as they were growing up and loved every minute of it. She will be missed dearly by her grandchildren. 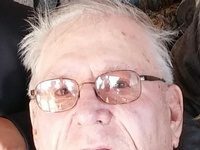 Survived by children: Mike (Grace) Dessellier, Oklee, MN, Diane Dessellier, Thief River Falls, MN, Doris Dessellier, Oklee, MN, Dorene Dessellier, Oklee, MN, Betty (David) Brinkman, Fosston, MN, Shirley (Orville) Brinkman, Trail, MN, Linda Roisland, Oklee and Audrey (John) Schmit, Trail, MN; grandchildren: Jessi Dessellier, Andrew Dessellier, Trisha (Mike) Lane, Jena Dessellier, Joe Dessellier, Kory Brinkman, Brian Brinkman, Michelle (Tyler Westcott) Brinkman, Katie Brinkman, Joe Brinkman, Jacob Brinkman, Mandy Roisland, Casey (Julie) Roisland, Mike (Lonnie) Schmit, Matt (Tasha) Schmit, Nick Schmit and Bob (Amanda) Schmit; 18 great-grandchildren Logan, Bryar, Ethan, Noah, Hunter, Collin, Gunnar, Gavin, Lindsey, Eric, Cora, Carrie, Cylvia, Lucy, Jonathan, Mason, Alexis, Timmy; brothers and sisters: Myron (Carol) Cote, Red Lake Falls, MN, Maurice (Doreen) Cote, Mentor, MN, Mae Trepanier, Washington and Leonard (Judy) Cote, Thief River Falls, MN. Irene was preceded in death by husband, George; son Jim; an infant daughter, Mary; sister Erma Normandin; brother Vern Cote and a son-in-law Keven Roisland.